You’ve been working on your SEO, following the tips you know, putting effort into your blogging, optimizing all the things. Now, it’s time to sit down at your computer for the ultimate test: Googling your keywords. You see the results. And you feel that pit of despair as you stare at the results: your competitors are still ranking higher than you! What do they have that I don’t have?? Today, we’re going to find out. Below is my in-depth guide for competitive analysis for wedding vendors. We’ll analyze search results and determine why other websites rank above yours. Let’s dive in! First of all, make sure you’re seeing accurate search results when you search for your keywords. Did you know that your Google results on your computer may not be what your clients see? Search engine results are not the same for everyone. Google personalizes results based on your past web history and your physical location. To view the most accurate results that aren’t affected by past online behavior, I recommend using the tool SERPchecker. You can do several free searches per day using this tool. 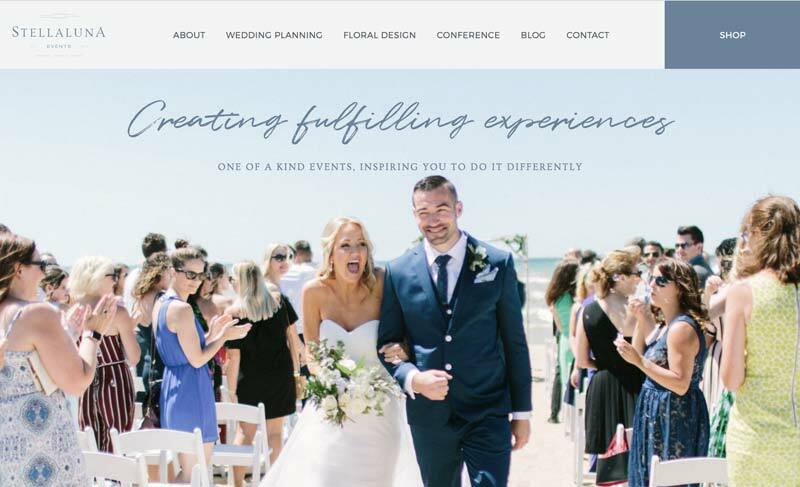 Search for “wedding planner” with the location set as Scottsdale, Arizona (imagining a local bride is looking for wedding planners nearby—this way of searching without including the city name is becoming more popular). On the SERPChecker results page, you’ll see their special layout of the un-personalized search results. Pay special attention to the 3 columns I’ve highlighted in the screenshot above. LPS = Link Profile Strength. This is the tool’s guess at the SEO strength of each page in the results. I find it most helpful when compared with your own site (type your URL in the empty “Compare” box at the bottom). DA = Domain Authority. This is the strength of the website as a whole, based on a number of factors. The higher the number, the better. Is yours higher or lower than the other websites in the results? Links. The number of backlinks to that page in the results. Do you have more or fewer links than the other sites in the results? You can click the “Preview snapshot” button in the upper right corner to see the actual Google results and map. Now that you’ve compared your site with those that are ranking, let’s talk about a few factors that your competitors’ sites may have that help them rank higher. Check out the Links column on SERPchecker. Focus on the other vendors’ websites that are ranking (not the Knot or other listing sites). Do the sites that are ranking have more links than your site? It’s hard to out-rank a site on Google that has 3-5 times the number of links that you do. You may need to focus on building backlinks. If the number of links is somewhat comparable, what’s the deal? Your competitors’ sites may have stronger links than you do. They may have links from big, high-authority sites like national publications and popular wedding blogs. You may have just vendor credit links from small blogs. If your number of links is comparable, you may try to go after some higher-authority links and mentions. Another thing you may want to check out is the amount of content on your competitors’ sites. Have they blogged for years? Does their site have a bunch of helpful, high-quality pages and posts? If your website has just a few posts and your competitors have hundreds of good ones, it’s time to start blogging. Maybe you have a decent number of blog posts, but your competitors are blogging way more often than you are. Google prioritizes sites with fresh content that is added regularly. Blogging on a regular schedule will likely help your search rankings. How well optimized is your home page? Often, my clients’ sites do actually have some domain authority and backlinks, but they’re just not optimized well for keywords. We can help give them a big boost by better optimizing the home page. Take a look at your home page. Is your most important keyword used in the meta title and description? Is it written on the page in the page content? Does your meta description make searchers want to click on your site? Tweaking and optimizing your home page content can make a big difference. If you’re really stumped on why other sites are winning on Google, one more factor to analyze is how easy-to-use your website is. Does it load really fast (under 3 seconds)? Is it easy to navigate? Is it easy to use on a mobile phone? More and more, Google is trying to rank higher the websites that people really like to visit. I highly recommend taking a few hours to analyze your website’s ease of use and performance, and make it as fast and easy as you can. Want someone else to take a look at the results and help you understand why other sites are ranking above yours? I’m here for you! 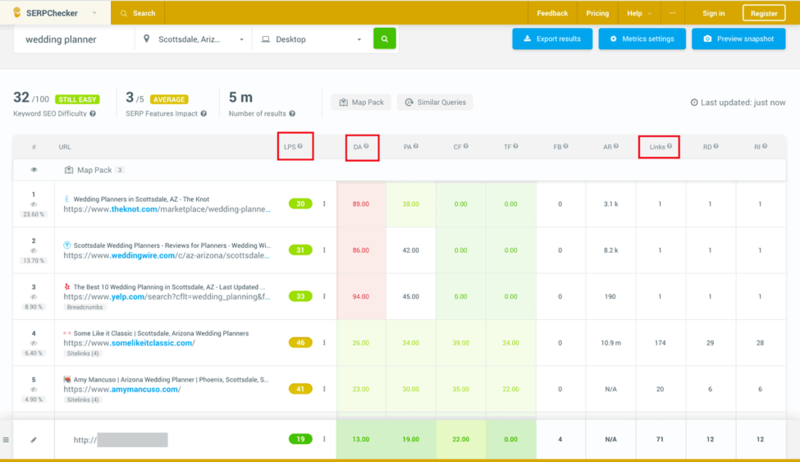 My SEO Roadmap would be just the thing—I’ll analyze the results and help you understand the steps you need to take to move up the rankings versus your competitors. Glad it was helpful, Tracy!